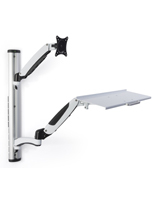 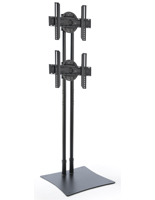 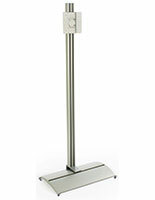 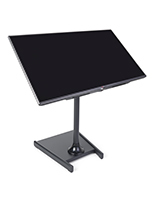 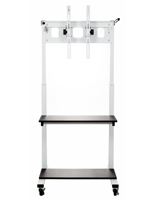 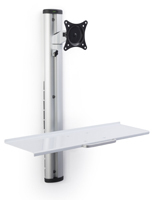 32" and under desktop monitor brackets can be securely bolted down to tabletops or temporarily attached using clamps. 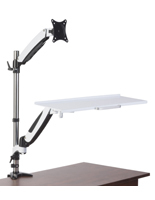 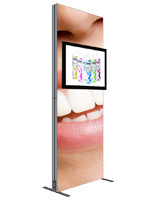 Popular models feature arms that support more than one screen. 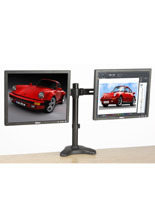 More and more business employees are employing multiple monitors at work for better productivity, and we offer brackets for displaying screens side-by-side or above-and-under. 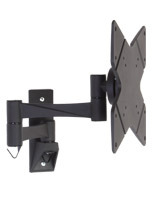 Ceiling mounts for flat screen TVs are designed for commercial applications, such as in airports, retail stores, and bars. 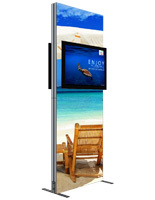 These locations require their screens be up and out of the way of visitors or patrons. 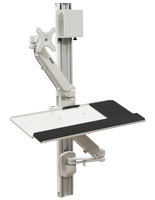 Also being mounted high in the air provides better viewing for a large number people. 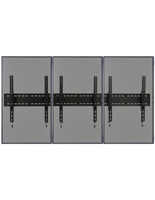 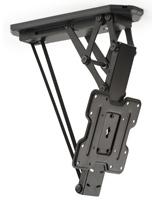 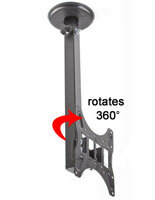 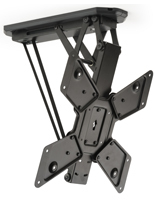 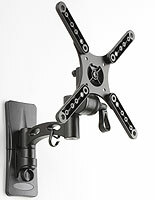 Wall mount brackets are perhaps the most widely used type of monitor mount thanks to the advent of the flat screen TV. 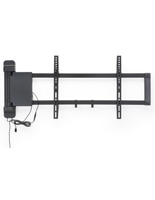 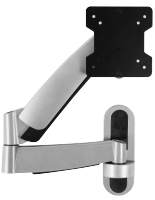 These feature the ability to install screens tightly against the wall, but if an articulating arm style is desired in order to tilt or pan the TV there are many selections with these abilities. 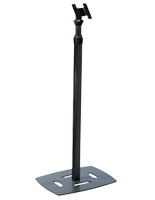 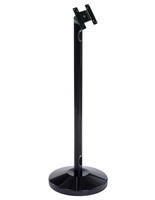 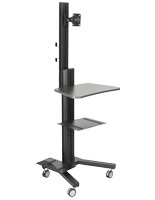 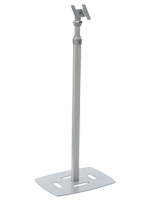 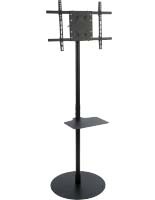 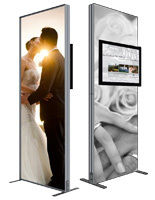 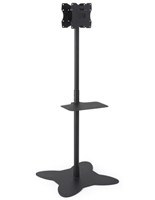 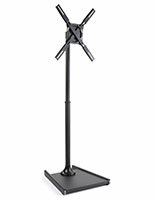 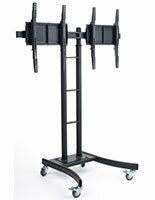 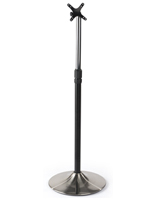 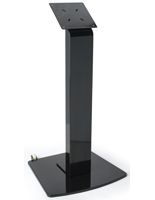 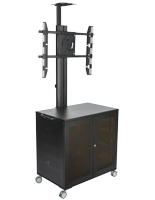 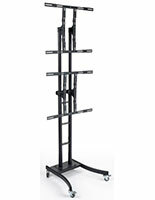 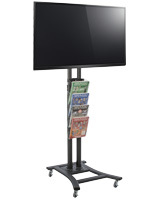 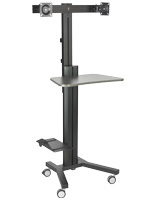 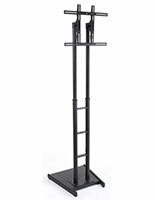 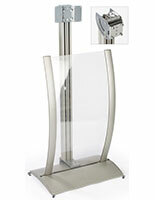 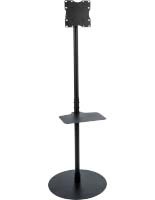 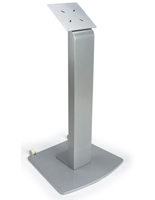 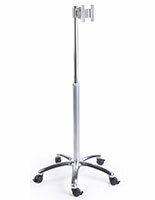 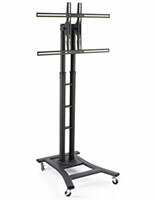 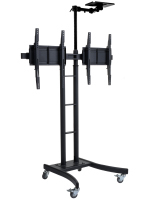 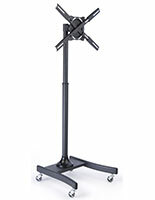 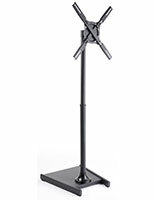 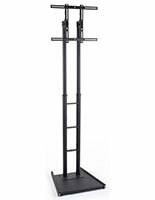 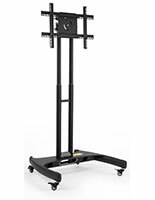 Floor stands for TVs can be either static displays or mobile with lockable casters. 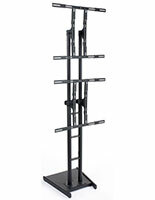 These styles offer excellent flexibility because they can be placed almost anywhere. 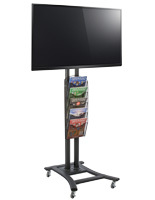 Good choices for sales floors, lobbies, and trade show booths, some models even come with shelving for A/V components and video conferencing cameras.